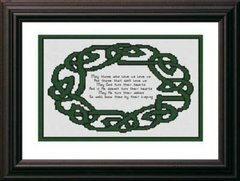 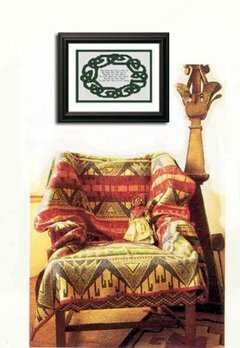 This cross stitch pattern design features a humorous old irish blessing/prayer in a circlet of Celtic knots and a green border. Made in full cross stitches. 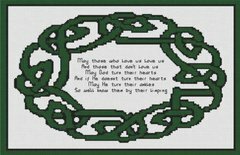 Motto is worked in back stitches with french knots for the dots. Full instructions included. 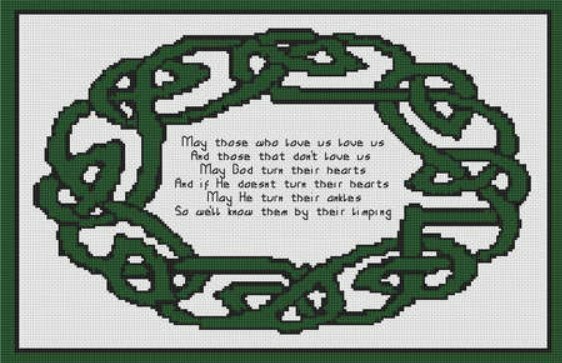 For 14 holes per inch, finished size will be 17.4" x 11.3".